Hailing from Ukraine, Chef Slava spent his first professional years working with a team of European chefs learning the knack of making the finest cuisines. After spending years working at luxury hotels in Thailand, he perfected his culinary skills and developed a passion for creating his own spectacular and innovative dishes. He brings his remarkable talent, fresh culinary ideas and strong passion for innovation to the Royal Cliff Hotel Group’s award winning culinary team. 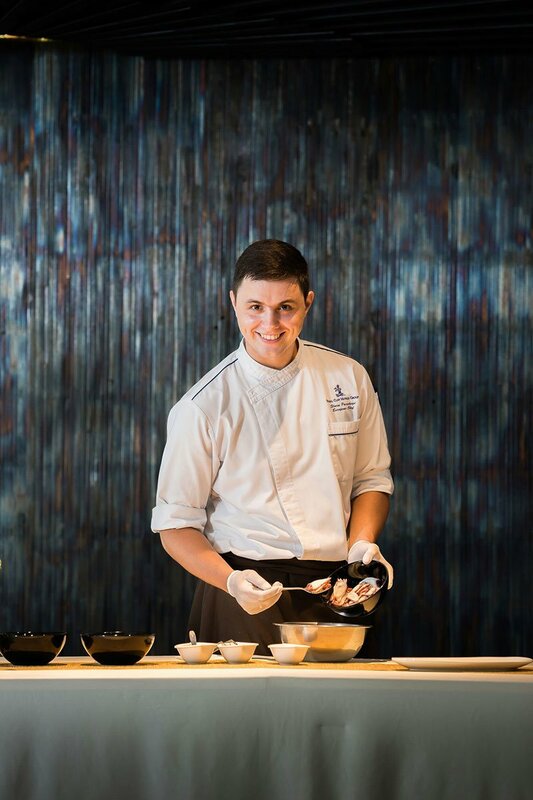 With his vast experience in Eastern European and Thai cuisine, he is the new pride of Caprice – A Taste of Riviera who delights senses with his exceptional gastronomic creations. “ “Caprice – A Taste of Riviera” offers a delicious selection of dishes with an amazing wine list to match with each of them.